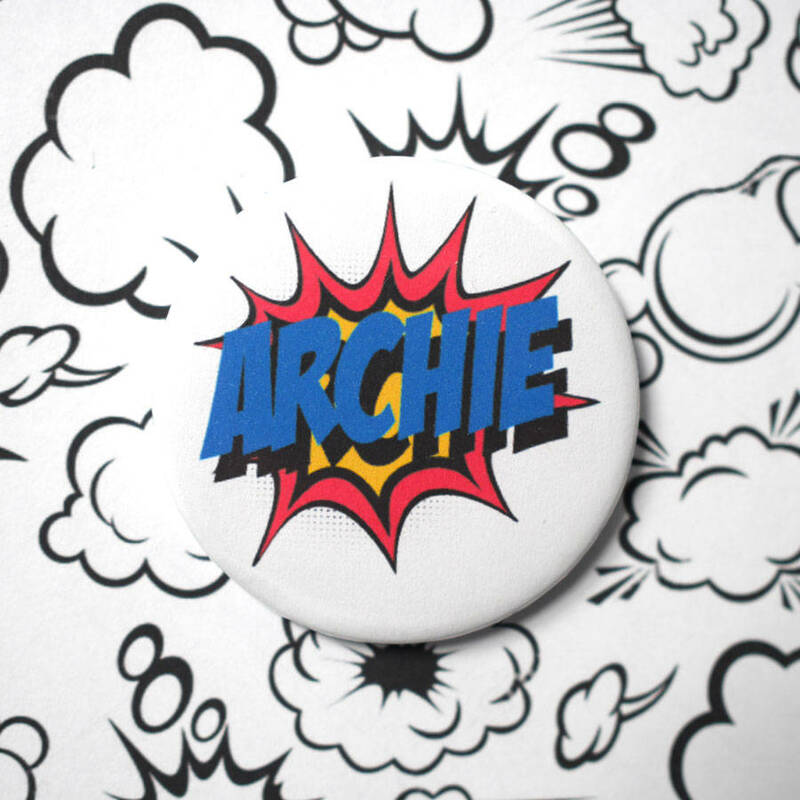 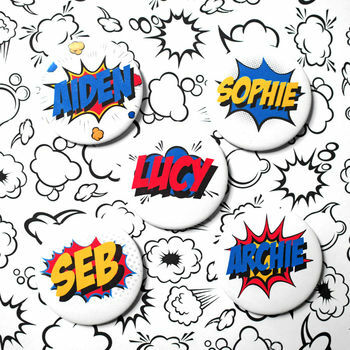 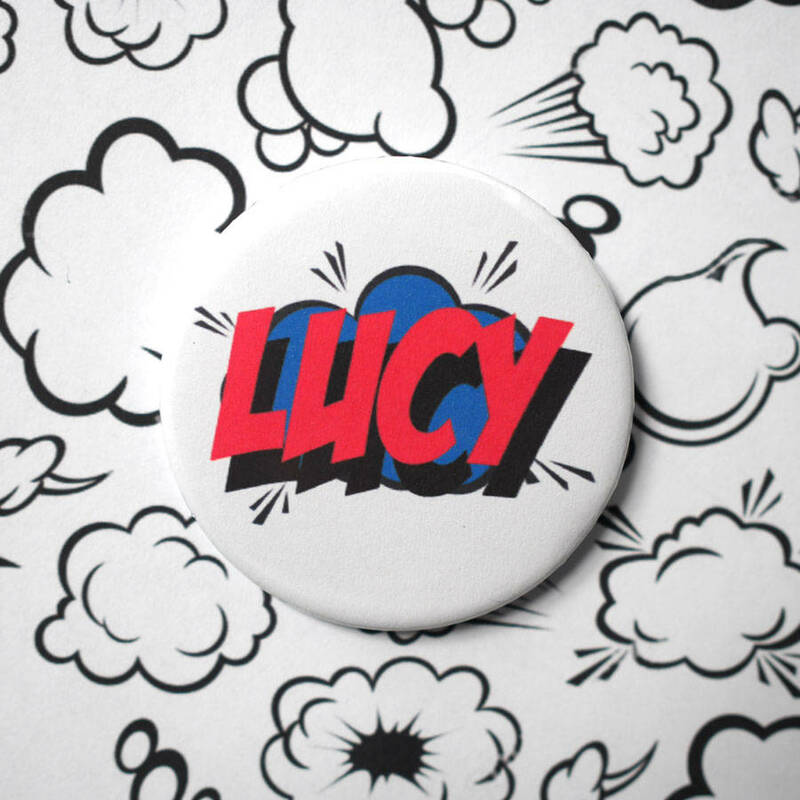 A perfect accessory for any girl or boy - a fun personalised superhero badge. 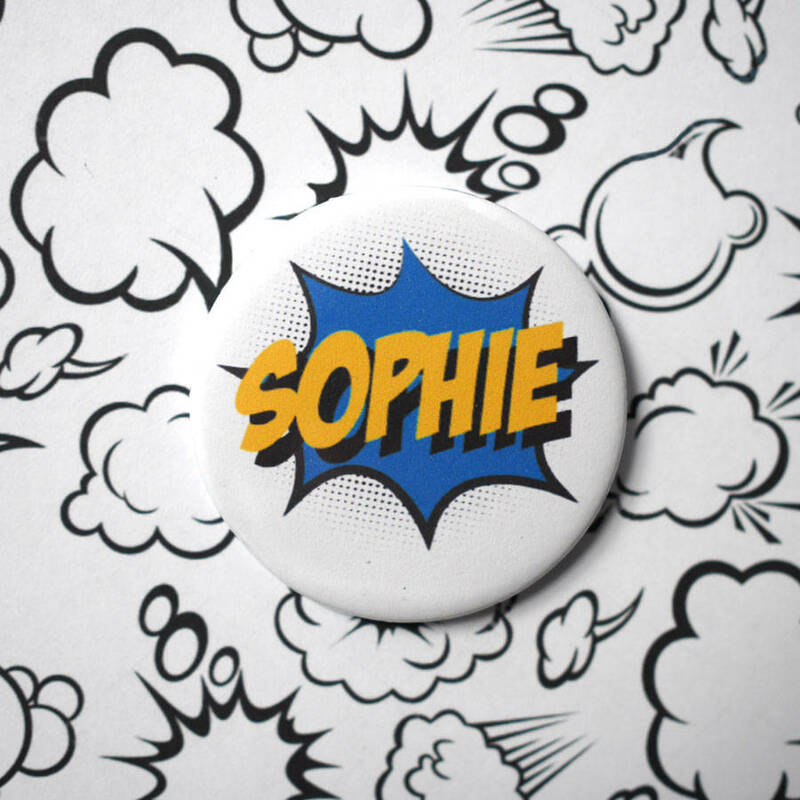 Each badge features comic book style name badges that an superhero would be proud to wear. 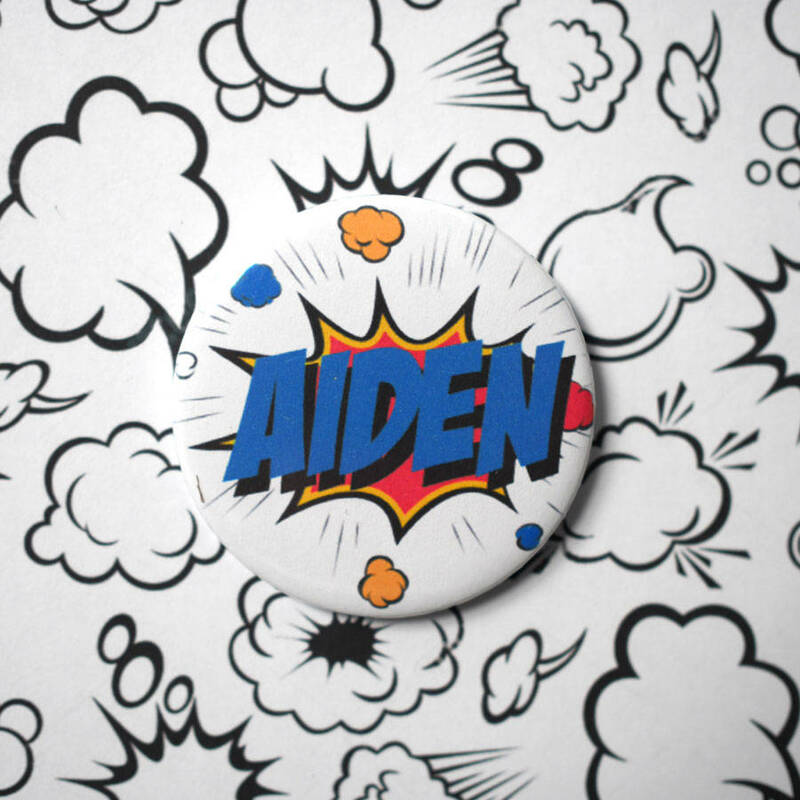 They are a fun and brightly coloured gift that will be as unique as the recipient. 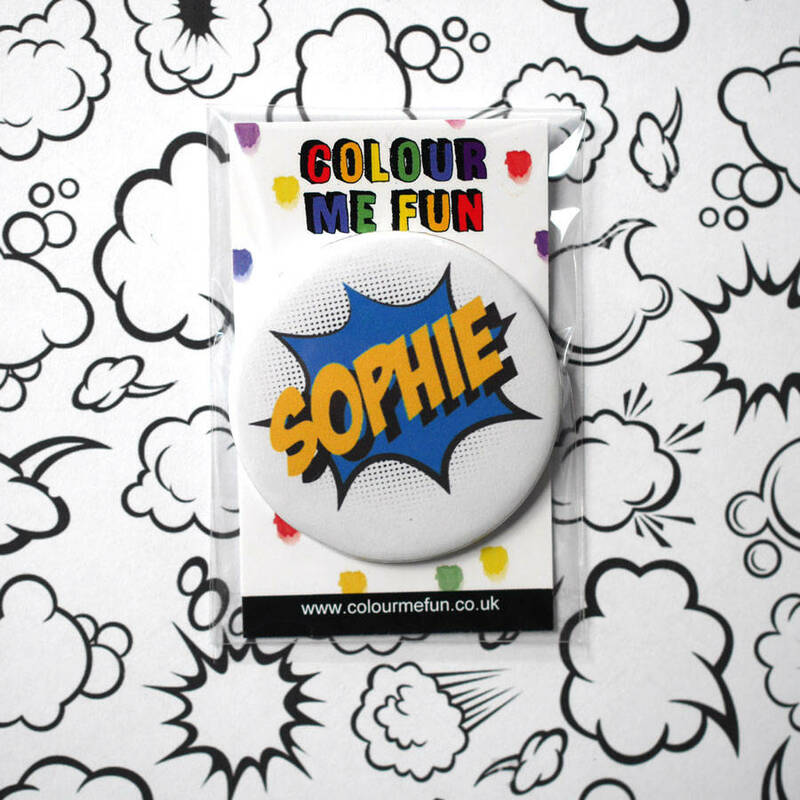 They make perfect wedding favour, party bag fillers as well as office parties, hen night and big boy birthdays. 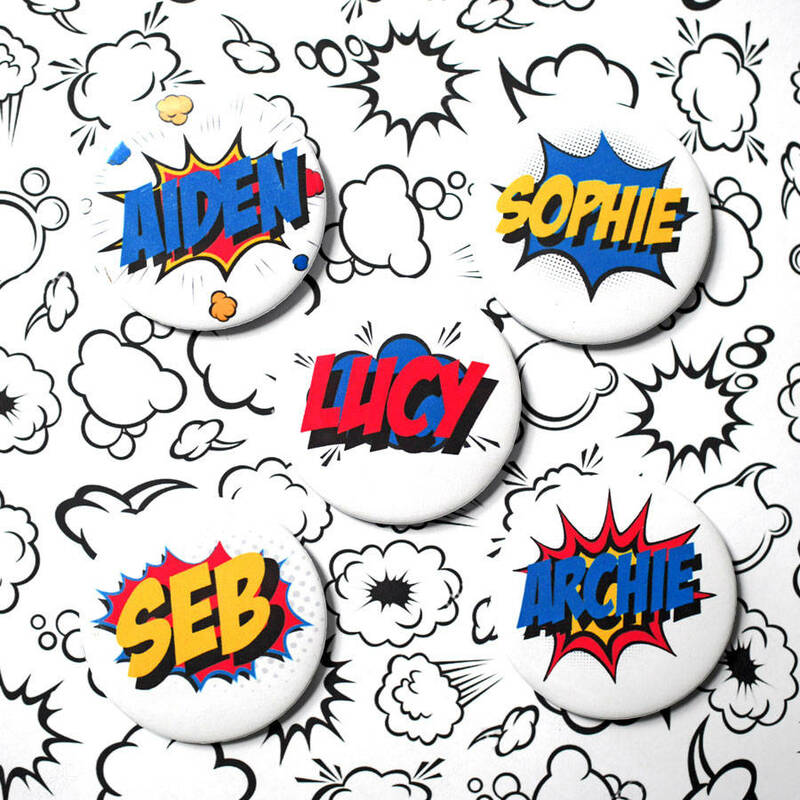 All you need to do is choose your favourite style and tell us the name you would like us to use! 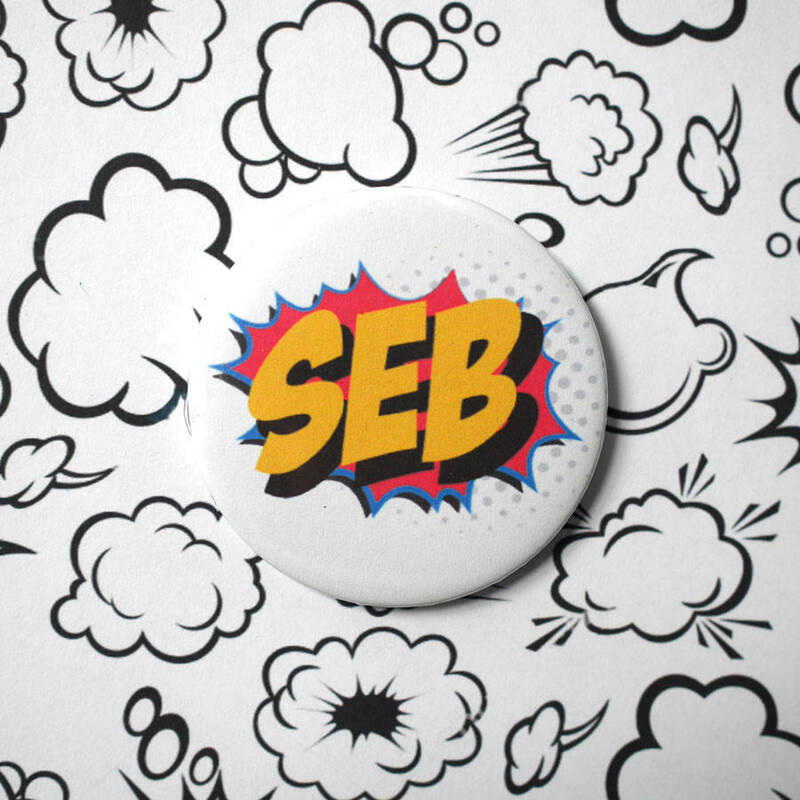 Each badge is 58mm and comes personalised, in the style of your choice, in the name of your choosing.